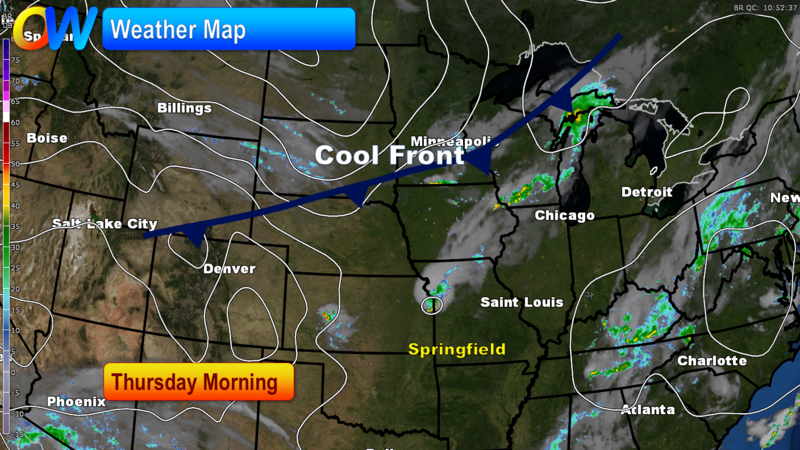 Today, our temperatures will be warm but another cool front will drop our weekend temperatures quite a bit! It will actually be close to seasonal averages today as highs reach into the middle eighties. 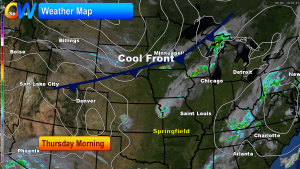 The next front will drop in tonight. It will be responsible for a few showers and perhaps a thunderstorm. Friday will be a different day with a brisk northerly wind, some clouds and temperatures almost 15 degrees cooler! Saturday will be the fall-like day with daytime readings staying in the sixties! Look for cool mornings this weekend too. I’m forecasting low temperatures in the forties on both Saturday and Sunday morning.